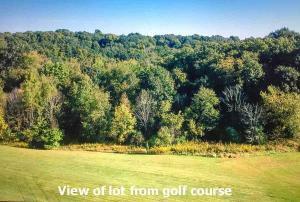 Gorgeous wooded 1.25 acres at Apple Valley Lake at the end of a cul-de-sac ''FOR SAIL''. Slopes down from the road but then levels off more. 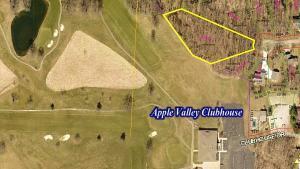 Adjacent to the Apple Valley Golf Course and the 10th tee. Walk right to the clubhouse for a game of golf or catch breakast or lunch. Just a beautiful location. Enjoy all of the amenites at Apple Valley Lake. 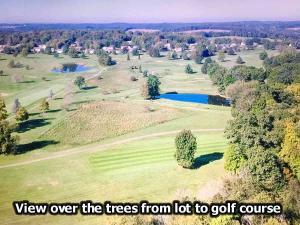 3 beaches, parks, 2 clubhouses, full service marina, indoor pool, outdoor pool and a beautiful 511 acre lake! 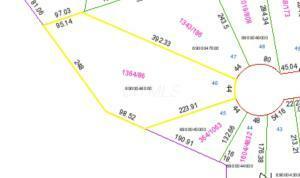 1 super large, large lot with only 1 HOA fee!